Affiliate marketing is a great way to make money with your website, whether you have your own business or you just write a blog for fun. You can include the affiliate links for related products, and you get a small payout every time someone clicks on that link and buys the product or service being promoted. Think of it like being on commission for sales, except you don’t have to actively be doing any selling. You can just plug the right links into your content and wait for the money to roll in. Affiliate links can be for just about any product out there. You sign up as an affiliate, and you get a link with a special tracking code. Companies use that code to know where their sales are coming from and who to credit with the commission. Say you have a financial consulting company. You can include an affiliate link in one of your posts for a piece of budgeting software. Or say you have a blog. You can include links to a variety of affiliate products, depending on the topic of the post. To start out on the right foot, you need to get some proper training with affiliate marketing. Sure, it is as easy as plugging in a link and waiting for people to click, but if you want to make big money, there’s a little more to it than that. How do know what product is the right product to promote? How do you get people to click and then to buy? How to maximize your profits? These are the kinds of questions that a proper training program like AFFcelerator will help you answer (check out an AFFcelerator cost review here). A good training program will give you the tricks of the trade to maximize your success with affiliate marketing, showing you not only the basics but also the advanced techniques to generate a proper revenue stream. A basic program like the one from Amazon is enough for a beginner to get started. The program includes a wide variety of products, and it is open to just about everyone (depending on where you live). You can get your feet wet with affiliate marketing and learn the ins and outs of choosing products, embedding your links, and promoting them. However, once you’ve had a little practice, you’ll need to find a better program that best matches your site. Do your research to learn about affiliate programs with the best products and the best payouts. Different programs offer different price structures, different levels of support, and different tools for automation. Finding the right program will increase your long-term chances for success. Sometimes, a simple link in your content is enough to get affiliate sales. Sometimes, you need to write a post about why people should want that product, such as a blog about why people need that budgeting software and how it will help them get their finances under control. You need to learn the right promotional techniques to suit both your audience and the product (or products) you are selling. Try out some different promotional techniques on your site to see what gets the best results. You can create ads in your sidebar or header, you can write review posts and tutorials around products, you can include a link to a product you reference, or you can even have a small slider of products that you recommend. Just like with advertising and other marketing strategies, you’ll need to do some testing to find out what strategies get the best results. 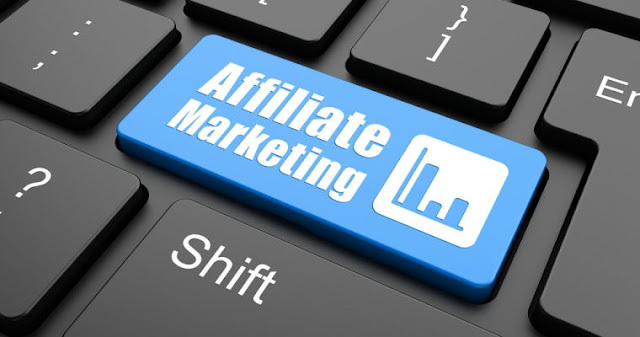 Once you get going, affiliate marketing can create a nice passive revenue stream for you. You just need to build a strong foundation to make sure you have the right start. These tips will help you get going.